The following list of Pet Loss Poems are meant as beautiful words of encouragement during your time of grief. Also, please feel free to send a family member or friend who lost a beloved Miniature Schnauzer a free Schnauzer dog sympathy ecard. Let them know you are there for them. 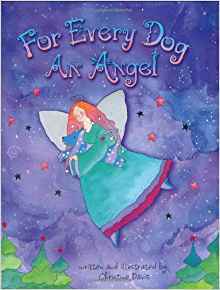 Feel free to use quotes from one of the dog loss poems below or from our Words of Sympathy. Let them know you understand their grief so they do not suffer alone, as the pain of losing one's beloved pet is very real. 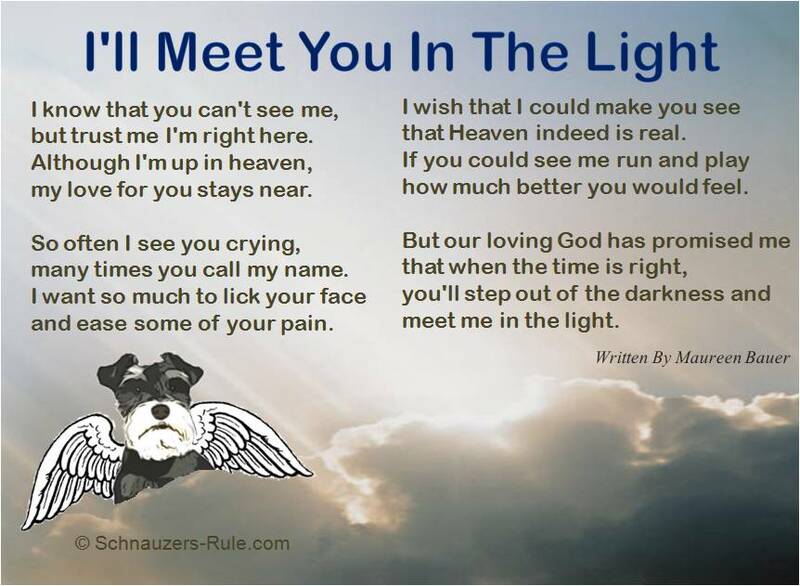 There is also a Candle Lighting page to light a virtual candle in remembrance of your beloved pet. Send family & friends who have lost a beloved companion a free pet sympathy Ecard and let them know you care. 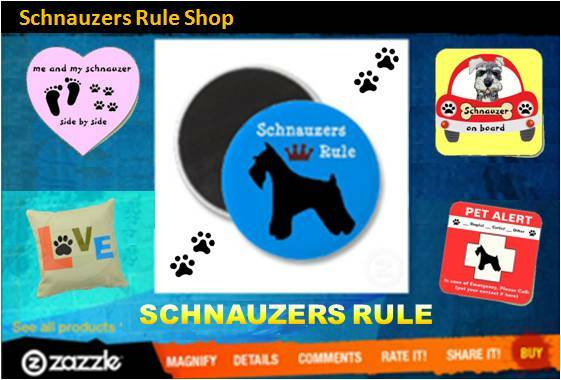 Light a Candle in remembrance of your Miniature Schnauzer: In many different traditions the lighting of a candle is considered a sacred action. A way to pay tribute and remembrance to a dear friend. See more Poems on Loss.